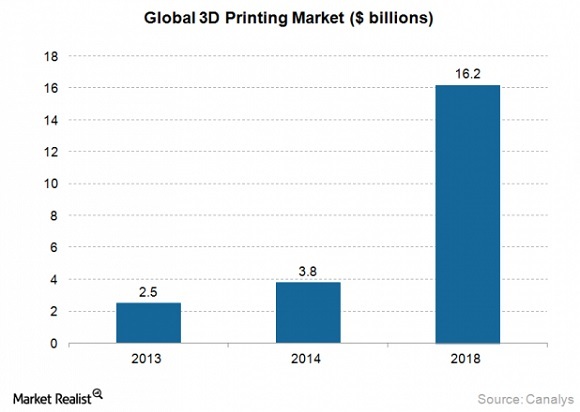 Last year 3D printing market has produced the total income of $3.3 billion, which is up 34% in comparison with 2013, because the prices are reduced and customers prefer to make the first purchases in this field. 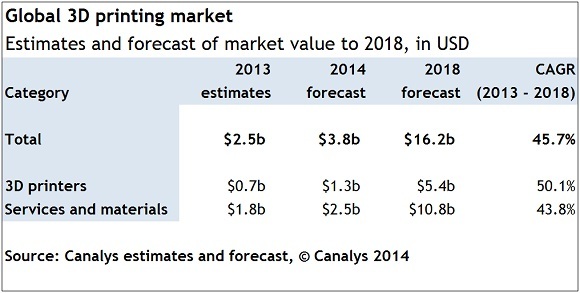 Canalys, the market researcher estimated that almost 133,000 printers were shipped all over the world in 2014. This is 68 per cent higher in comparison with 2013. The income from the market also included the connected services and materials. Joe Kempton, the research analyst from Canalys said that the significant growth occurred during the holiday season, which was most obvious in the consumer sector, when lots of customers bought their first 3D printers. A wide range of technologies offered in combination with the reduced prices and the refined printing speeds encouraged this demand. According to the research company, three-fourths of all the 3D printers sent during the fourth-quarter of 2014 cost less than $10,000. The total market income during that quarter was more than $1 billion with as many as 41,000 3D printers sent all over the world. This is the evidence of a 24 per cent rise over the previous quarter. About 42 per cent of the bargains account for America, followed by 31 per cent for EMEAS and 27 per cent for Asia-Pacific. 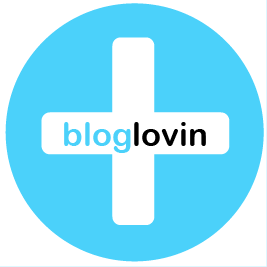 Low-priced 3D printing for prosumers and consumers has made progress regarding technological capabilities including those that come through crowdfunding services like Kickstarter. The consumer printers were the most exclusive devices for material extrusion, but there have been considerable growth rates in the sector of vat polymerization since the prices have fallen. The result is the appearance of newer options for customers. The most important market players like Ultimaker and MakerBot have seen significant increase, just as Chinese vendors like XYZPrinting, which measured some increase in the number of shipments. Chinese producers had previously benefited from developing low-cost user-friendly 3D printers. Rachel Lashford, vice president of Canalys explained that lots of 3D printing companies had decided to expand development and research to prepare for HP plans to join the market in 2016. They’ve also witnessed more conventional technology companies trying to find their place in the market too. Lashford also mentioned that for example Intel was giving the i7 processor for the upcoming HP MultiJestFusion printer, as well as supplying their 3D RealSense cameras into tablets and smartphones, like Dell Venue Pro 8000. Joe Kempton later added that new competitors were coming into the market with reducing costs of entry and up-to-date technologies go on appearing regularly. Market players distinguish from each other in the kinds of materials they use and their properties, printing speeds and other technical abilities and characteristics. They increase the media interest and may become desired targets. 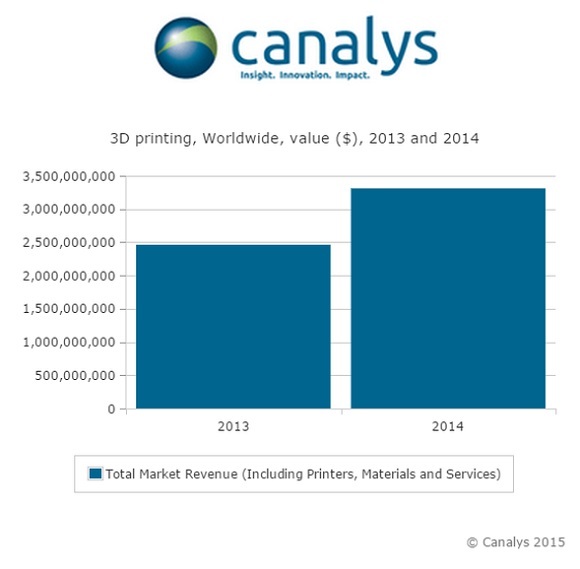 Canalys expected the largest number of purchases in 3D printing area up to now.